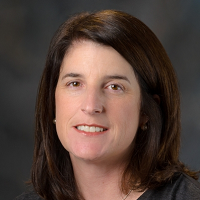 Jennifer Keating Litton, MD is an Associate Professor in the Department of Breast Medical Oncology as well as a faculty member in Clinical Cancer Genetics at The University of Texas MD Anderson Cancer Center and in the Graduate School of Biomedical Sciences at UT Health. She attended Duke University with degrees in English and in History and The University of Massachusetts Medical School. She completed an Internal Medicine Residency at Baylor College of Medicine and served as the Chief Medical Resident. She then completed a fellowship in Medical Oncology at The University of Texas MD Anderson Cancer Center. Her research interests center around the treatment of young breast cancer patients including the treatment of breast cancer during pregnancy, infertility and hereditary breast and ovarian cancer syndromes. She serves as a member of the National Cancer Center Network National Guidelines Panel for Hereditary Breast and Ovarian Cancer Syndromes. She has authored multiple abstracts, peer-reviewed journal articles, and book chapters and has served as a reviewer for multiple scientific journals.